We welcome you to send us a business card and your comments. Thank you! 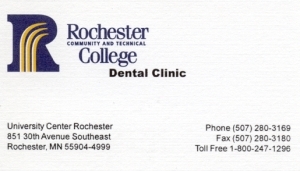 The RCTC Dental Clinic supports our dental hygiene and dental assisting programs meaning day and evening operation as well as heavy wear on our equipment. Mike Wiltrout and the services of R-Tech Dental are #1 on our speed dial. Mike responds promptly and is a great trouble-shooter. If he can’t solve the problem, he will help find someone who can. We can’t count the number of times Mike has responded to us when we have been in need… and always with a pleasant attitude! 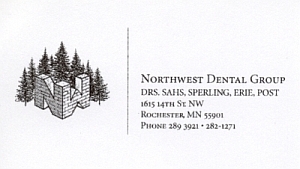 We continually recommend R-Tech Dental. Mikey is the best tech in the whole wide world. Yes! Call Mikey, he’s our man! If he can’t fix it – nobody can! 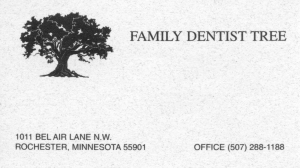 We love Mikey W.
Northwest Dental Group has a long relationship with R-Tech Dental. Mike is professional, knowledgeable and proactive. He communicates with us regarding equipment needs not only when service is needed, but also before they become an issue. Mike is prompt with service calls. He has good knowledge of our office needs, and works with us accordingly. ~ K. L. Sahs, D.D.S.